It’s a hot and controversial topic in our beaches community. The issue? How to address our resident homeless population. I like to address them by first name. Others prefer to address our beaches homeless community by figuring out how to ship them across town to the Sulzbacher Center. I have always had a soft spot for folks without a home who may be more than a little lost and wayward. I also have a soft spot for immigrants. One year, all of my classes donated new hats, scarves, and gloves to a Refugee Resettlement program here in Jacksonville that was really concerned for clients who had just arrived to our amazing city in the middle of one of North Florida’s coldest winters. I like people to feel warm and safe. I also like people to find their way home. The reality is that our beaches community will always have a homeless population and discussing the politics of how to meet the needs of these folks is not on my top 10 list of things to do in life. What is on my top 10 list of things to do in life is to support those on the front line who have chosen to assist others. And the folks at Mission House are top notch. Mission House provides food, clothing, medical care, and support services to the homeless. 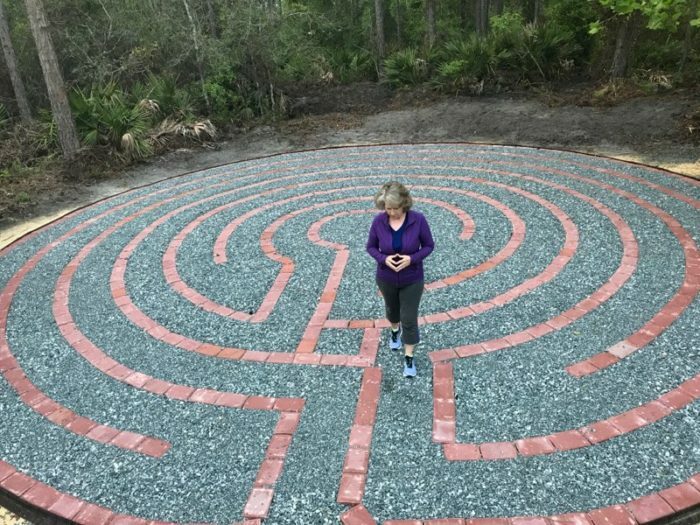 As well, the non-profit offers an avenue to self-sufficiency. I will always remember one of the times I dropped off a large donation of toiletries items collected from my classes at various studios. As we unloaded my car, one of the managers told me an uplifting story that had happened to him earlier that day. A delivery driver (like FedEx or UPS – one of the big carriers), arrived at Mission House. He came up to the manager and asked if he remembered him. A few years prior, this driver was homeless and Mission House helped him. He came by to say thanks. He now had a stable job with benefits and was married. Tears came to my eyes as the Mission House manager completed this very simple and true story. I thought of the ripple effect that was created from genuine acts of service to others. A man’s life changed. There is hope. And, yes, I choose to support those on the front line who serve the homeless with compassion. Mission House staff and all the volunteers inspire me. Need a feel good moment? Watch this. 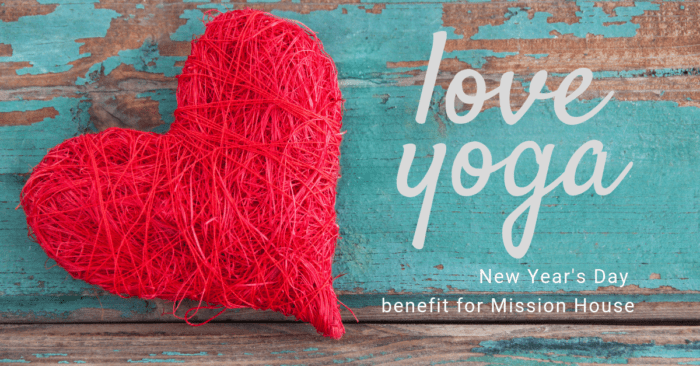 On New Year’s Day, I offer a benefit yoga practice called “Love Yoga.” All proceeds benefit Mission House. At the turn of every New Year, we often think about our goals. Our resolutions are a way to get our house in order. I have loved connecting the fresh start of a new year with a non-profit that supports the homeless in our community. I think it helps us get our priorities straight.